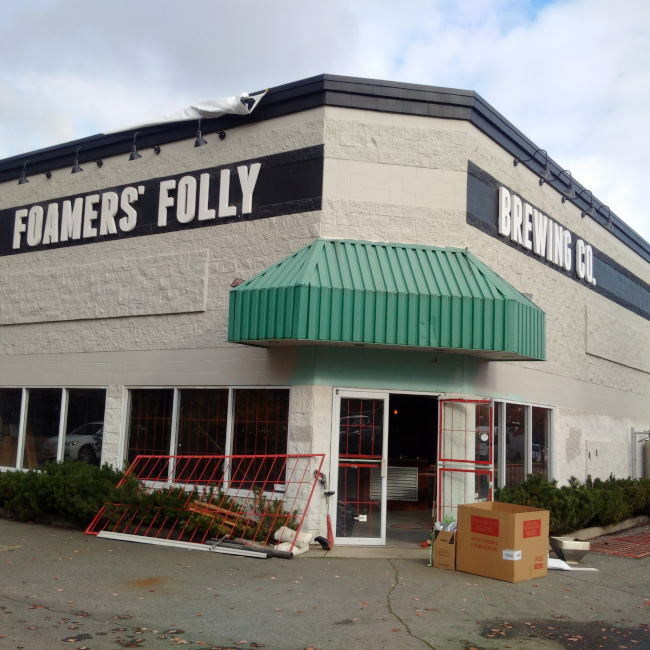 I just wanted to do a really quick update on the construction update on Foamers’ Folly Brewing as it has been just over a month since I stopped by. The first notable change with the brewery when you stop by is that they now have the sign up telling everyone who they are! It is always exciting driving by a local building and seeing a new brewery name on the walls! At least it is for me when I find them in Vancouver. The brewery was already basically fully setup so I did not take any photos in the back but the tasting lounge is looking great at this point so I thought I would take a few photos there. The bar looks finished at this point and also really good! The brewery looks to be open in Late November at this point but it is still coming very soon! Pitt Meadows you better start getting excited!